Used/Rebuilt Dyson & Shark Sale! We've Been getting a lot of Dysons and Sharks on trade lately. Want one? Excellent opportunity to save $ on a good vacuum. Accepting reasonable offers! Phone orders welcome. We Ship! Video Demonstrations available. Call us at 1-800-263-KICK (5425) or 518-869-1738 or stop in. 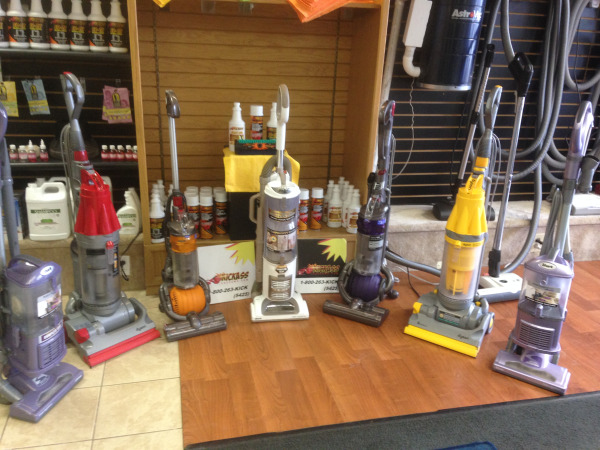 All machines have been cleaned, serviced, tested, deodorized, sanitized and Include Warranties!